Popular architecture is mixed with Nature, water in many rivers across mountains and countries, and singular and beautiful places. The region of La Vera attracts everyone who goes there. 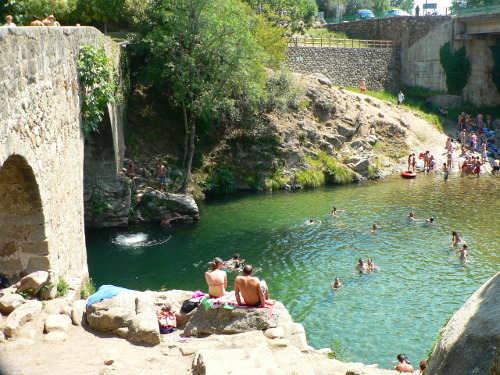 Water is the main element in the region of La Vera. The crystal-clear water falls from Tormantos and Gredos mounatin ranges, they join together with Tiétar River’s course and form gorges and natural swimming pools. We begin this journey in Jarandilla de la Vera. Among all the historical buildings of this town Oropesa’s Counts’ summer Palace stands out. Emperor Charles V was living here for several months until his austere palace in Monastery of Yuste was finished off. 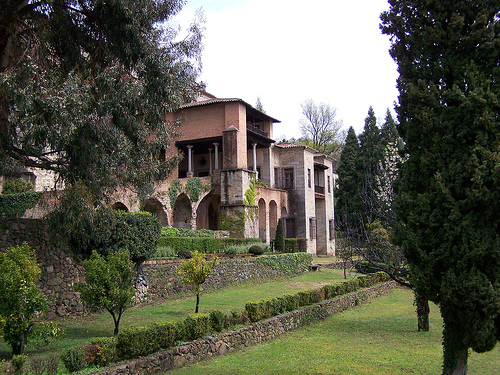 Nowadays this building is a hotel that belongs to the national net of Paradores. In Jarandilla, as well as in many others towns of the area such as Garganta la Olla, Cuacos de Yuste, or Aldeanueva de La Vera, stands out a jewish medieval tipical architecture. Houses are made of adobe, stone and wood, they maintain its original structure and have been adapted to present times. Moreover Jarandilla celebrates Los Escobazos, an ancient feast: on 7th December night people burn brooms to welcome each other. This feast is based on an old pastoral tradition. Paprika is one of the best well-known products La Vera provides. Peppers are dried and afterwards are ground into powder, thus they obtain the so-called ‘red golden’, the Regional Goverment of Extremadura has created a Guaratee of Origin to maintain and improve its quality. It is so exquiste that we will take a tin or two. From Jarandilla we head towards Villanueva de la Vera. This town has been declared as historical-artistic enbsemble. 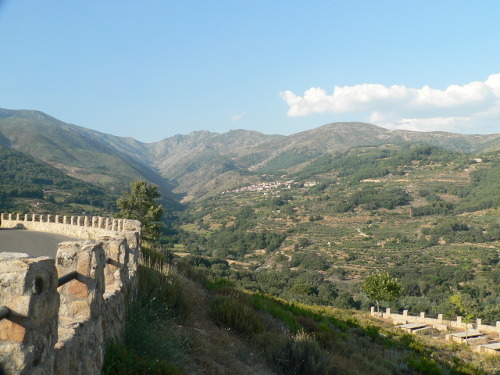 The mountain range of Gredos’ essence is present in the surrounding areas and in Villanueva de la Vera itself. On the road we reach Valverde de la Vera. Throughout its streets water from the mountain range runs off through small channels to orchards. It worths to go for a walk and enjoy the scenery where empalaos carry a large wooden beam every maundy thursday. It is truly amazing to see how these men carry the beam to keep their promises. We are close to Losar de la Vera where views are precious. 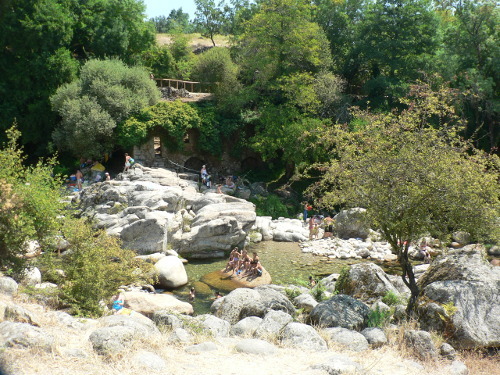 From this point we have the chance to enjoy the greenest corners of Extremadura. Near Losar de la Vera we may enjoy the natural gorge of Cuartos. Few kilometres away, in Cuacos de Yuste it is located the Monastery of Yuste. Emperor Charles V chose this place to spent his last days due to the quiet surrounding and the microclimate in the area. For this reason he ordered to built an austere anexed building, it was directly connected to the church in case he was not able to walk. Nearby towns were influenced by the fact Emperor Charles V was living there. Garganta la Olla,for instance, is a popular town of the area which provides trouts and good wines, moreover is bathed by excellent gorges. This was an important town during this age and a proof of this are the buildings built while German court was there. Jaraíz de la Vera is the most populated town in La Vera. Delicious gastronmy and excellent handcrafts stand out. It has been declared historic ensemble where the main square full of stately homes stands out. As well as Santa Maria’s church which was built in the 14th Century, and it is the elder building of the town. Our last stopover before we reach Plasencia is in Tejada de Tiétar, this town is well known due to sweets, paprika, olive oil and cured iberian ham. All these products have official quality certifications. La Vera’s landscapes invite to be discovered. The small towns are full of interesting places as well as the surrounding natural areas where mountains and hills fill a unique unforgettable outlook. 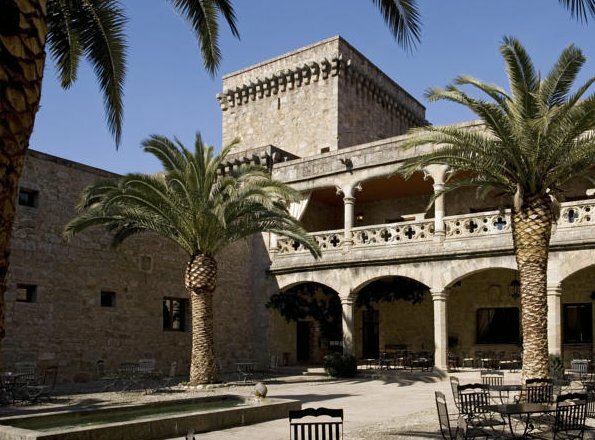 Where to stay in La Vera? There are many hotels, apartments and rural houses.